There is an obvious shift in the approach surrounding web design. The rise of flat design, two-dimensional figures, and shapes is a major design trend and long gone are the days of distracting, flashing graphics. Full-screen background videos are on the rise (when it makes sense) and many companies are opting to have custom apps built alongside their mobile web sites. With such a high percentage of potential customers and clients using smartphones and tablets, not moving in the mobile direction could be costly. Which leads us to responsive design. If you don’t have it, get it. Responsive web design (RWD) is an approach to web design aimed at crafting sites to provide an optimal viewing and interaction experience—easy reading and navigation without having to zoom and pan—across a wide range of devices from desktop computer monitors to mobile phones. A major advantage of a responsive design that it is aesthetically pleasing. After having gone through the time and expense of having your website redesigned it should look its best regardless of the device your readers are using. I would be remiss if I did not also point out (again) how Google prefers websites that employ responsive design and even gives them an edge in mobile search results. Which makes sense. Google doesn’t want two versions of every web page clogging up the internet; which is exactly what happened back in the day when people were creating a website – and a completely separate “mobile” website. Another – perhaps accidental – advantage of responsive design it that it forces you to think about the information you’re adding to your website differently. Ensuring that your content is easy to access on a phone forces you to keep things simple. Which in turn forces you to really hone in on only the most critical information for your readers. Which helps them get the information they’re looking for quickly and easily. Tell your story and connect with your audience. Are you making the most of your online presence? Do you need a refresh? Is your website stuck in the 00’s? Do you want to simplify your design while maximizing your marketing efforts? 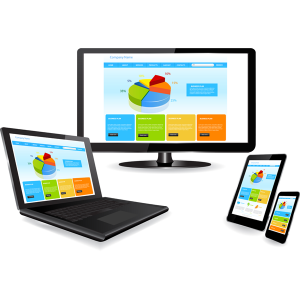 Would you like to have confidence in managing your own website when your website is complete? Give us a call at Westchester Marketing Cafe for a free initial evaluation at 914-502-0634. Posted in Marketing and tagged mobile friendly, redesign, responsive design, website, Website Design.